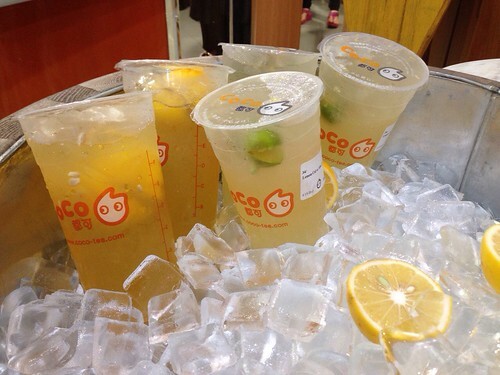 CoCo Fresh Tea and Juice (also known as CoCo Tea PH) is one of the leading brands in the freshly-made drinks industry with presence in China, Hong Kong, South East Asia, and the United States. They are known for their fresh fruit juices and tasty milk teas that are perfect as on-the-go drinks this summer and beyond. Last night, I attended their Summer On-The-Go event that celebrated the soft launch of their SM City Manila store, their 5th branch in the Philippines. (I heard they first arrived here in 2013.) It was an evening filled with fun and excitement as people shared about their summer plans and eventually pledged for a better lifestyle. Who doesn’t want one, anyway? I, personally, am aiming for a more active and healthier lifestyle this 2015. And what better way to strengthen my commitment to that goal than to try drinking healthy, starting with CoCo’s interesting product line of teas and juices made from the freshest and the highest quality ingredients!